Configurar : #241706 _foreground \ #9e9e44 _background. 1-Abrir nova imagem transparente de 950 x 650. Preencher com o gradiente formado pelas cores selecionadas acima. Configurar: Linear \ Angle =45 e Repeats =1.Invert desmarcado. Plugin Mehdi \ Sorting Tiles... BR=150-300 \ B=250. Crossed. 2- Layer Duplicate. Image Resize 80%. Image Mirror Horizontal. Plugin Mehdi \ Weaver. SR=50-150 \ S=150. Plugin Alien Skin Eye Candy 5 : Impact\ Perspective Shadow_Blurry. 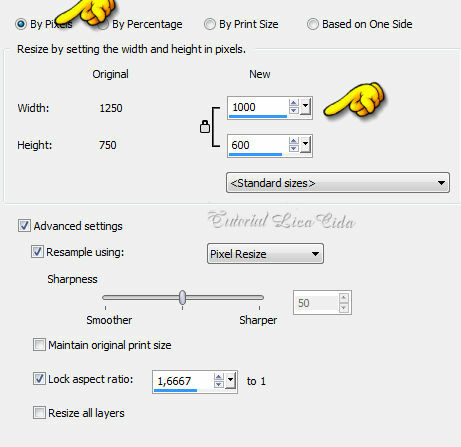 Com a ferramenta Selection Tool (s) selecionar o efeito formado como mostra o print. 3- Promote Selection to Layer. Selections\ Select none. Adjust \ Blur\ Motion Blur. A=260,00 \ S=100%. Select All. 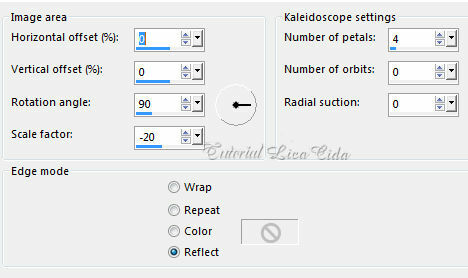 Edit Copy no Ildiko_create_deco (139)\ Edit Paste Into Selection . Com a ajuda da ferramenta Pick Tool (k), acerte a lateral esquerda do back. 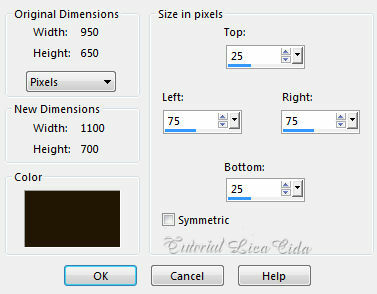 5-Ativar a layer Promoted Selection . Edit Copy no ruelle_tubed_by_thafs\ Paste As New Layer. Resize 80%. Plugin Nick Software\ Color EfexPro 3.0\ Bi-Color Filters\ Color Set \ Cool /Warm1. Plugin Nick Software\ Color EfexPro 3.0\ Bi-Color Filters\ Color Set \ Violet /Pink2. Effects\ Image Effects\ Seamless Tiling: ( veja print acima ). 8-Image add borderes (Color usada no foreground ). 9- Layer Duplicate. Effects\ Edge Effects\ High Pass. 10- Image Resize Width 1000 pxls. Ficará com o back de 1000 x 600 pxls. 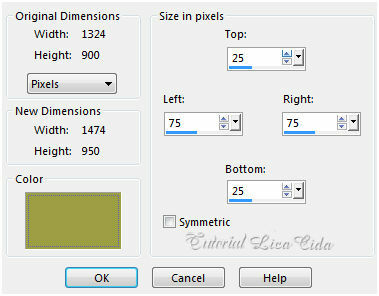 Observe Resize all layers desmarcado. ( Minimizamos nosso trabalho anterior para depois deletar ). 12-Image Canvas Size 1000 x 700 . Bottom 100. 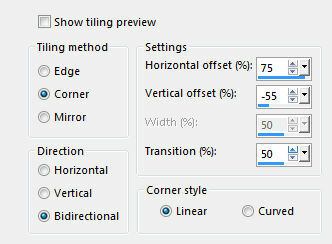 Plugin MuRa's Meister \Perspective Tiling. Height 22 \ outros valores_Default. 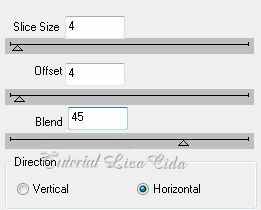 *Com a Ferramenta Magic Wand \ Feather 70 \ Clique na parte transparente . Deletar ( cinco \ seis vezes até ficar como modelo ( o tutorial) ). Selections \ Select none. 13- Edit Copy no tube Beauty_esperance_CibiBijoux\ Paste As New Layer. Posicione a gosto. 10-Edit Copy nos tube Grisi_Tube_Decoration_369\ Paste As New Layer. 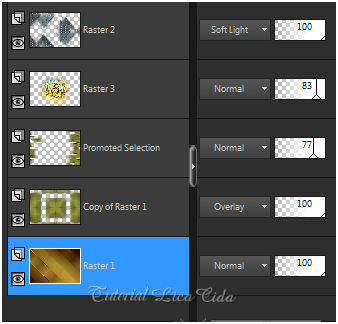 Edit Paste Into Selection . 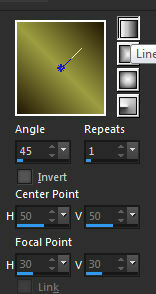 Adjust \ Blur\ Motion Blur. A=260,00 \ S=100% ( aplicar duas vezes). Aparecida \ licacida , agosto de 2017.